OCEANSIDE — Community cleanup efforts organized by the city of Oceanside and Vista Community Clinic Project REACH started early on Nov. 4 and left a positive impact on the Libby Lake neighborhood. Close to 30 volunteers met up at 8 a.m. and pitched in to help clean up the neighborhood and remove bulky trash items. City neighborhood services staff and Project REACH students were key in organizing efforts that began at Libby Lake Park and branched into the community. 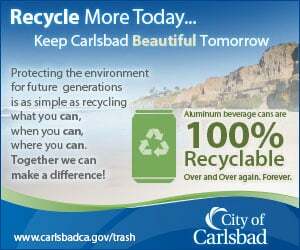 The city supplied a 40-cubic-yard trash dumpster and recycle bin, as well as bottled water and cleanup supplies. REACH students provided most of the manpower. Salvador Roman, program supervisor II for the Libby Lake REACH youth development program, credits students for the success of the cleanup, which they initiated as a service learning project. “The REACH students were the heart of the work being done for the event,” Roman said. Prior to the cleanup day students made flyers and informed residents of opportunities to receive a hand with home and yard cleanup, or to pitch in and help with volunteer efforts. The day of the cleanup REACH students, alumni, students’ families and fellow community members stepped in to spruce up the neighborhood. Volunteers were divided into four groups to take on cleanup tasks. Yanez added the fourth group unloaded items from volunteer and residents’ trucks that pulled up to the dumpsters. Collected and hauled away items included worn mattresses, broken furniture and mountains of wood scraps. More than a dozen homeowners took advantage of disposing of large items. Residents who needed a hand with cleanup could call for assistance. Efforts filled both dumpsters, and included 10 bags of trash collected from the park. The workday was bookended with a light breakfast and lunch provided by the city.